On the hunt for date-night ideas? Read on for this week's lineup of acclaimed movies showing on the big screen in and around Houston. 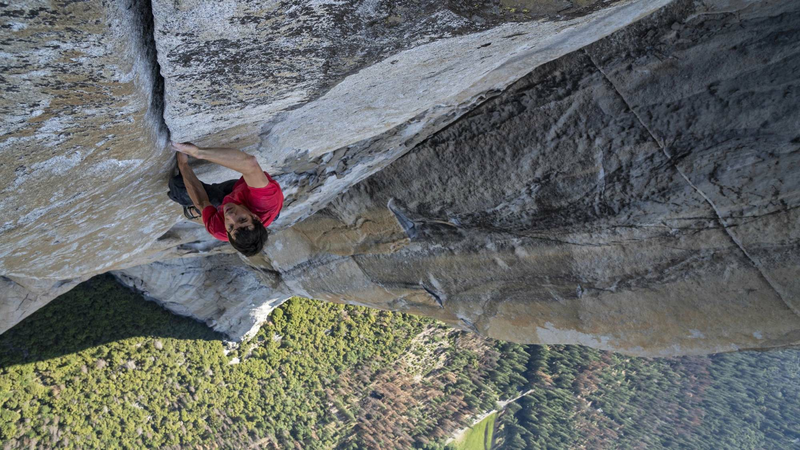 Boasting a 98 percent critical approval rating and an audience score of 95 percent on Rotten Tomatoes, "Free Solo" has proven to be a critical darling since its release on Sept. 28, with a consensus that "'Free Solo' depicts athletic feats that many viewers will find beyond reason - and grounds the attempts in passions that are all but universal." Catch it on the big screen at Edwards Greenway Grand Palace Stadium 24 & RPX (3839 Weslayan) through Friday, Jan. 4. Click here for showtimes and tickets. With a critical approval rating of 97 percent and an audience score of 95 percent on Rotten Tomatoes, "Spider-Man: Into the Spider-Verse" has been a must-watch since its release on Dec. 14, with a consensus that "'Spider-Man: Into the Spider-Verse' matches bold storytelling with striking animation for a purely enjoyable adventure with heart, humor, and plenty of superhero action." Want to see for yourself? It's playing at Cinemark Tinseltown USA (11450 East Freeway) through Thursday, Jan. 3; Edwards Greenway Grand Palace Stadium 24 & RPX (3839 Weslayan) through Friday, Jan. 4; AMC Willowbrook 24 (17145 Tomball Parkway) through Thursday, Jan. 3; and Cinemark Tinseltown 290 and XD (12920 Northwest Freeway) through Friday, Jan. 4. Click here for showtimes and tickets. With a 94 percent critical approval rating and an audience score of 79 percent on Rotten Tomatoes, "Bumblebee" has garnered plenty of praise since its release on Dec. 21. According to the site's critical consensus, "'Bumblebee' proves it's possible to bring fun and a sense of wonder back to a bloated blockbuster franchise -- and sets up its own slate of sequels in the bargain." Get a piece of the action at Cinemark Tinseltown USA (11450 East Freeway) through Thursday, Jan. 3; Edwards Greenway Grand Palace Stadium 24 & RPX (3839 Weslayan) through Friday, Jan. 4; AMC Willowbrook 24 (17145 Tomball Parkway) through Thursday, Jan. 3; and Cinemark Tinseltown 290 and XD (12920 Northwest Freeway) through Friday, Jan. 4. Click here for showtimes and tickets. In 18th century England, the close relationship between Queen Anne and Sarah Churchill is threatened by the arrival of Sarah's cousin, Abigail Hill, which results in a bitter rivalry between the two cousins to be the Queen's favorite. With a 94 percent critical approval rating and an audience score of 59 percent on Rotten Tomatoes, "The Favourite" has become a favorite since its release on Dec. 14, with a consensus that "'The Favourite' sees Yorgos Lanthimos balancing a period setting against rich, timely subtext - and getting roundly stellar performances from his well-chosen stars." The film has received numerous Golden Globe nominations, including for Best Picture, Olivia Colman for Best Actress and Rachel Weisz and Emma Stone for Supporting Actress. You can catch it at Cinemark Tinseltown USA (11450 East Freeway), AMC Willowbrook 24 (17145 Tomball Parkway), AMC Studio 30 (2949 Dunvale), and Edwards Houston Marq'E Stadium 23 IMAX & RPX (7620 Katy Freeway) through Thursday, Jan. 3. Click here for showtimes and tickets.